This category will contain all messages posted daily. “Now when they drew near Jerusalem, and came to Bethphage, at the Mount of Olives, then Jesus sent two disciples, saying to them, “Go into the village opposite you, and immediately you will find a donkey tied, and a colt with her. Loose them and bring them to Me. And if anyone says anything to you, you shall say, ‘The Lord has need of them,’ and immediately he will send them.” All this was done that it might be fulfilled which was spoken by the prophet, saying: “Tell the daughter of Zion, ‘Behold, your King is coming to you, Lowly, and sitting on a donkey, A colt, the foal of a donkey.’ ” So the disciples went and did as Jesus commanded them. They brought the donkey and the colt, laid their clothes on them, and set Him on them. And a very great multitude spread their clothes on the road; others cut down branches from the trees and spread them on the road. 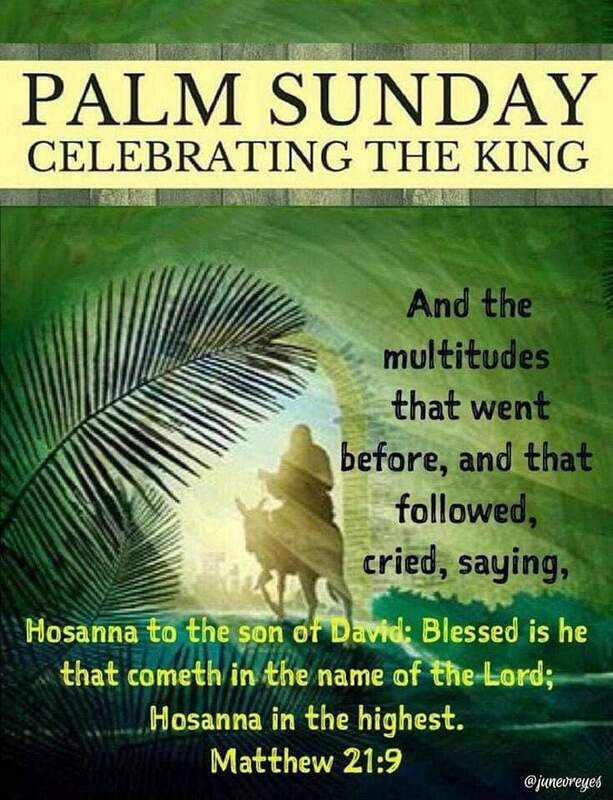 Then the multitudes who went before and those who followed cried out, saying: “Hosanna to the Son of David! ‘Blessed is He who comes in the name of the Lord !’ Hosanna in the highest!” And when He had come into Jerusalem, all the city was moved, saying, “Who is this?” So the multitudes said, “This is Jesus, the prophet from Nazareth of Galilee.”(Matthew 21:1‭-‬11 NKJV). But Jesus beheld them, and said unto them, …but with God ALL THINGS are POSSIBLE. +It is very important to notice that it is WITH GOD that all things are possible. #1 We must be WITH GOD in order to experience the Possibilities of God. #2 What does WITH GOD means? This means that we have a relationship WITH GOD through the Lord Jesus Christ, His Holy Spirit and His Word. A. Love for God and one another. B. Obedience to God’s Word and the Leading of His Holy Spirit. C. We must have Hope, Belief, Faith, Trust, and Confidently in God at all times. +The Bible had thousands of promises in it that God has made to us. Find the Promise that applies to you situation, and Trust The God of all possibilities to fulfill that promise in your life and be blessed forever more for the glory of God. Hallelujah!!! •Continue to let the WORD of God be the standard for our lives. Always LOVING others like Christ Jesus loves us while keeping our Faith, Trust and Confidence in Him. •BLESSED we are and BLESSED we will always be and to God be all the GLORY. Amen!!! DO YOU LOVE GOD,AS MUCH AS HE LOVES YOU ? “For God so loved the world that He gave His only begotten Son, that whoever believes in Him should not perish but have everlasting life. For God did not send His Son into the world to condemn the world, but that the world through Him might be saved”. (John 3:16‭-‬17 NKJV). “Do not love the world or the things in the world. IF ANYONE LOVES THE WORLD, THE LOVE OF THE FATHER IS NOT IN HIM. For all that is in the world—the lust of the flesh, the lust of the eyes, and the pride of life—is not of the Father but is of the world. And the world is passing away, and the lust of it; but he who does the will of God abides forever”. ( 1 John 2:15‭-‬17 NKJV). “And above all things have fervent love for one another, for “LOVE WILL COVER A MULTITUDE OF SINS.” Be hospitable to one another without grumbling. As each one has received a gift, minister it to one another, as good stewards of the manifold grace of God”. ( 1 Peter 4:8‭-‬10 NKJV). “Therefore, as the elect of God, holy and beloved, put on tender mercies, kindness, humility, meekness, longsuffering; bearing with one another, and forgiving one another, if anyone has a complaint against another; even as Christ forgave you, so you also must do. BUT ABOVE ALL THESE THINGS PUT ON LOVE, which is the bond of perfection. And let the peace of God rule in your hearts, to which also you were called in one body; and be thankful. Let the word of Christ dwell in you richly in all wisdom, teaching and admonishing one another in psalms and hymns and spiritual songs, singing with grace in your hearts to the Lord. And whatever you do in word or deed, do all in the name of the Lord Jesus, giving thanks to God the Father through Him”. +May our God Who is Love, grant us more Wisdom as we continue in LOVE, Truth, Holiness, Righteousness, and Faith. CONSTRAINT: to arrest, hold, keep, control, or restricts someone’s actions and behavior from doing wrong. +The Love of God in us keeps us from thinking, speaking and doing all the things that unacceptable with God. +Always think Love First, and let Love be the only reason why we do all the things we do. +This is WELL PLEASING with the Lord, a blessing to others and also a blessing to ourselves. Notice how Jesus emphasized the importance of His words abiding in our hearts as a prerequisite to answered prayer 🙏🏽. The value of this truth cannot be overemphasized; it is the absolute essential for effectual prayer 🙏🏽. We must learn to abide in Christ and to let His words abide in us. Abide in Christ and let His words abide in you; then you will ask what you will and it shall be done ! “My people are destroyed for lack of knowledge: because thou hast rejected knowledge, I will also reject thee, that thou shalt be no priest to me: seeing thou hast forgotten the law of thy God, I will also forget thy children. As they were increased, so they sinned against me: therefore will I change their glory into shame”. (Hosea 4:6-7). “I have taken refuge in You O Lord. Never let me be put to shame. Save me because of Your righteousness. Turn Your ear toward me. Be a Rock of refuge for me. Indeed, You are my Rock and my Fortress. So pull me out of the net that they have secretly laid for me. Into Your hands I entrust my spirit. You have rescued me O Lord, God of truth. I hate those who cling to false gods, but I trust the Lord. I will rejoice and be glad because of Your mercy. You have seen my misery. You have known the troubles in my soul. You have not handed me over to the enemy. You have set my feet in a place where I can move freely. Have pity on me Lord because I am in distress. I trust You, O Lord. My future is in Your hands. So do not let me be put to shame. Your kindness is so great! You reserve it for those who fear You. You hide them in the secret place of Your presence. cried out for Your help. Love the Lord all you godly ones! The Lord protects godly people. Be strong, all who wait with hope for the Lord, and let your heart be courageous. “(For the weapons of our warfare are not carnal, but mighty through God to the pulling down of strong holds;) Casting down imaginations, and every high thing that exalteth itself against the knowledge of God, and bringing into captivity every thought to the obedience of Christ; And having in a readiness to revenge all disobedience, when your obedience is fulfilled”. (2 Corinthians 10:4‭-‬6 KJV). “Be careful for nothing; but in every thing by prayer and supplication with thanksgiving let your requests be made known unto God. And the peace of God, which passeth all understanding, shall keep your hearts and minds through Christ Jesus. Finally, brethren, whatsoever things are true, whatsoever things are honest, whatsoever things are just, whatsoever things are pure, whatsoever things are lovely, whatsoever things are of good report; if there be any virtue, and if there be any praise, think on these things. Those things, which ye have both learned, and received, and heard, and seen in me, do: and the God of peace shall be with you”. (Philippians 4:6‭-‬9 KJV). EVERYTHING, AND ANYTHING THAT CONTRADICT THE WORD OF GOD IS A LIE. “For the message of the cross is foolishness to those who are perishing, but to us who are being saved it is the power of God. For it is written: “I will destroy the wisdom of the wise, And bring to nothing the understanding of the prudent.” Where is the wise? Where is the scribe? Where is the disputer of this age? Has not God made foolish the wisdom of this world? For since, in the wisdom of God, the world through wisdom did not know God, it pleased God through the foolishness of the message preached to save those who believe. For Jews request a sign, and Greeks seek after wisdom; but we preach Christ crucified, to the Jews a stumbling block and to the Greeks foolishness, but to those who are called, both Jews and Greeks, Christ the power of God and the wisdom of God. Because the foolishness of God is wiser than men, and the weakness of God is stronger than men. For you see your calling, brethren, that not many wise according to the flesh, not many mighty, not many noble, are called. But God has chosen the foolish things of the world to put to shame the wise, and God has chosen the weak things of the world to put to shame the things which are mighty; and the base things of the world and the things which are despised God has chosen, and the things which are not, to bring to nothing the things that are, that no flesh should glory in His presence. But of Him you are in Christ Jesus, who became for us wisdom from God—and righteousness and sanctification and redemption— that, as it is written, “He who glories, let him glory in the Lord .”(1 Corinthians 1:18‭-‬31 NKJV). 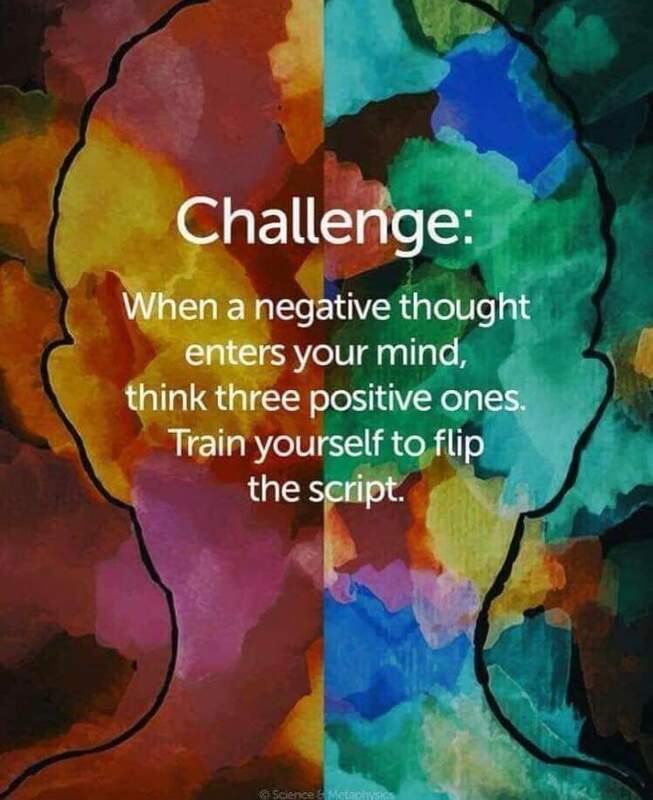 HOW JESUS HANDLE NEGATIVE THOUGHTS AND WORDS. “Then Jesus was led up by the Spirit into the wilderness to be tempted by the devil. And when He had fasted forty days and forty nights, afterward He was hungry. Now when the tempter came to Him, he said, “If You are the Son of God, command that these stones become bread.” But He answered and said, “It is written, ‘Man shall not live by bread alone, but by every word that proceeds from the mouth of God.’ ” Then the devil took Him up into the holy city, set Him on the pinnacle of the temple, and said to Him, “If You are the Son of God, throw Yourself down. For it is written: ‘He shall give His angels charge over you,’ and, ‘In their hands they shall bear you up, Lest you dash your foot against a stone.’ ” Jesus said to him, “It is written again, ‘You shall not tempt the Lord your God.’ ” Again, the devil took Him up on an exceedingly high mountain, and showed Him all the kingdoms of the world and their glory. And he said to Him, “All these things I will give You if You will fall down and worship me.” Then Jesus said to him, “Away with you, Satan! For it is written, ‘You shall worship the Lord your God, and Him only you shall serve.’ ” Then the devil left Him, and behold, angels came and ministered to Him”. (Matthew 4:1‭-‬11 NKJV). GO AND DO LIKEWISE , JESUS alredy gave us the power to do it . “Then the seventy returned with joy, saying, “Lord, even the demons are subject to us in Your name.” And He said to them, “I saw Satan fall like lightning from heaven. Behold, I give you the authority to trample on serpents and scorpions, and over all the power of the enemy, and nothing shall by any means hurt you”. (Luke 10:17‭-‬19 NKJV). Remember that the devil’s job is to steal , kill,and destroy your happiness , success , peace ,health,and everything that God has blessed you with. So Jesus answered and said to them, “Assuredly, I say to you, if you have faith and do not doubt, you will not only do what was done to the fig tree, but also if you say to this mountain, ‘Be removed and be cast into the sea,’ it will be done. And whatever things you ask in prayer, believing, you will receive.”(Matthew 21:21‭-‬22). “And do not fear those who kill the body but cannot kill the soul. But rather fear Him who is able to destroy both soul and body in hell. Are not two sparrows sold for a copper coin? And not one of them falls to the ground apart from your Father’s will. But the very hairs of your head are all numbered. Do not fear therefore; you are of more value than many sparrows”. (Matthew 10:28‭-‬31 NKJV). #1 Our FAITH is to please God. #2 We use our FAITH to obtain the Promises of God. whatsoever is not of FAITH is SIN. •FAITH is for righteous living by God’s Standards. …who through FAITH and patience inherit the promises. +FAITH says I believed what God said and I have accept what God said is so even without any physical evidence. +FAITH becomes the evidence or things I asked God for until the things are manifested in my life. +By faith I can say I have the things that I asked God for before I actually receive them because faith call those things that are not as though they were. +God honors FAITH that is used to believe in Him and to Trust is Him. Do not cast away you FAITH and CONFIDENCE in God. “But you are a chosen generation, a royal priesthood, a holy nation, His own special people, that you may proclaim the praises of Him who called you out of darkness into His marvelous light; who once were not a people but are now the people of God, who had not obtained mercy but now have obtained mercy”. (1 Peter 2:9‭-‬10 NKJV). “For You formed my inward parts; You covered me in my mother’s womb. I will praise You, for I am fearfully and wonderfully made; Marvelous are Your works, And that my soul knows very well. My frame was not hidden from You, When I was made in secret, And skillfully wrought in the lowest parts of the earth. Your eyes saw my substance, being yet unformed. And in Your book they all were written, The days fashioned for me, When as yet there were none of them. How precious also are Your thoughts to me, O God! How great is the sum of them! If I should count them, they would be more in number than the sand; When I awake, I am still with You”. (Psalms 139:13‭-‬18 NKJV). +To Paraphrase, as a man access, estimates, and concludes himself to be in his innermost being (spirit, soul and mind), it can results in that man being that way. +How we constantly see ourselves has a lot to do with how we are and the future we will have. +We must see ourself how God sees us. +See the New Creation you are in Christ Jesus, 2 Corinthians 5:17-21. +In every area of our lives we are NOT struggling people trying to make in life in every way. +We are Blessed, Prosperous, Successful, Healthy and Free People of God resisting and rejecting everything that opposes and contradicts God’s will for us and our progress in life. +In prosperity our friends know us, but in adversity we know who our friends are. 13. Greater love has no one than this that you lay your life down for your friends. 15. Jesus said, “I call you friends”. +Friendship is a relationship of Love, Truth, Holiness, Righteousness and Faith. +Friendship that is built on these principles produce a Power that protects and preserves the relationship. +One of the many relationships that we have with the Lord is friendship. He calls us friends. +He laid His life down sacrificially out of His Great Love for us. In order to save our lives and give us eternal, everlasting and the abundant life. A man that has friends must show himself friendly: and there is a friend that sticks closer than a brother. +A friend is friendly and loving at all times. +Let us use the Lord’s example of friendship in being the Lord’s friend and friends to one another. How much do you love God? Do you love Him unconditionally,like how He loves you? “For God so loved the world, that he gave his only begotten Son, that whosoever believeth in him should not perish, but have everlasting life”. (John 3:16). “If you love Me, keep My commandments. And I will pray the Father, and He will give you another Helper, that He may abide with you forever— the Spirit of truth, whom the world cannot receive, because it neither sees Him nor knows Him; but you know Him, for He dwells with you and will be in you”. (John 14:15‭-‬17 NKJV). “For this is the love of God, that we keep His commandments. And His commandments are not burdensome”. (I John 5:3 NKJV). “A new commandment I give to you, that you love one another; as I have loved you, that you also love one another. By this all will know that you are My disciples, if you have love for one another.”(John 13:34‭-‬35 NKJV).